North Korea is one of the world’s most repressive states and civic space is rated ‘closed’ by the CIVICUS Monitor. The government restricts all civil and political liberties for its citizens, including freedom of expression, peaceful assembly, association, and religion. It prohibits all organised political opposition, independent media, civil society, and trade unions. Amid the denuclearisation talks in Vietnam between North Korean leader Kim Jong Un and US President Donald Trump in February 2019, the authorities launched a massive operation in the country. The People’s Security Agency in Pyongsong halted any movement of people and conducted heavy night-time, unit-based patrols. The local police in Pyongsong organised five-member “laborer patrol units” to monitor specific areas, 24 hours a day. If individuals of unknown identity were found during the patrols, they were detained immediately and released only once their identities were confirmed. Factories, enterprises, and farms were required to have daily attendance reports to monitor the movement of visitors and to monitor and supervise employees. Many were not allowed to leave work and asked to protect regime symbols like statues. Asia Press, a North Korea-focused news outlet in Japan, reported through sources in North Korea that the Ministry of State Security (MSS) and police officers were patrolling residential areas around the clock and that local district officials and government cadres were conducting surprise visits to the houses of ordinary people every night. In recent months the North Korea authorities have cracked down on foreign media content and increased video surveillance at the border with China. According to a report by online news outlet Daily NK, six students at Jungdok Senior Middle School, including a child of a high official of Pyongsong People’s Committee were detained on 3rd January 2019 for watching South Korean TV dramas. The outlet reported that this case was particularly surprising because the children involved in this case were sent to the local Ministry of State Security (MSS) unit immediately, despite the parent’s politically high status,. A source in North Pyongan Province stated that "this is an indication of rising efforts of North Korean authorities to prevent its young people from obtaining and spreading foreign information and media content that might be contrary to the North Korean regime’s ruling ideology". On 4th January 2019, it was reported that in North Hamgyong Province a photographer and his assistant were arrested and sent to the Ministry of State Security unit for distributing foreign media sources such as movies and TV shows, in early December 2018. According to the news report, the two were selling media content from countries like South Korea, United States and Hong Kong in forms of discs and USBs. As the investigation is underway, the authority confiscated the list of their clients that bought the shows, which included workers, university students, and soldiers. According to news reports, members of the “anti-socialist task force” (tasked with searching and punishing behaviors considered contrary to socialism) affiliated with the Ministry of State Security (MSS) conducted a raid on house of a former soldier in Hyesan, Ryanggang Province in February 2019. During the raid, the 23-year-old son of the provincial Historical Site Management Office Elementary Party chairman and six of his friends from middle school were caught watching a Chinese movie and were arrested. The task force also discovered a USB filled with South Korean music and dramas. Freedom of movement around the country or across borders is heavily restricted in North Korea. 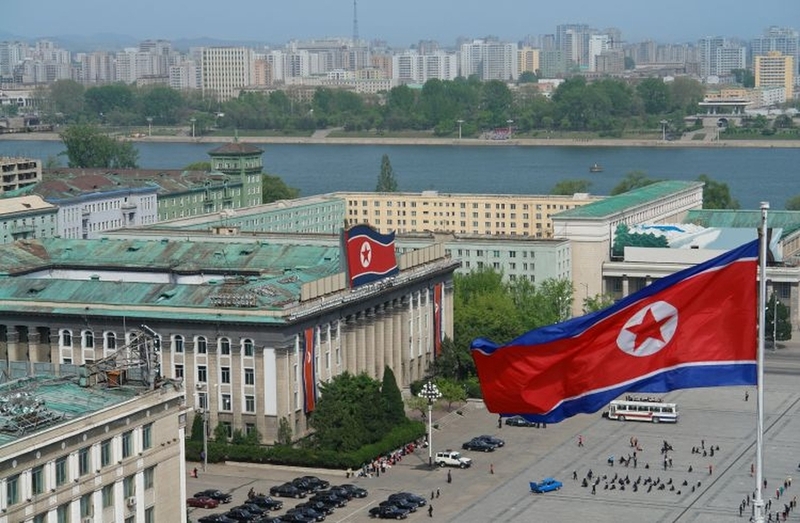 In December 2018, the DailyNK news reported that North Korean authorities announced it will be expanding its video surveillance network along the China-North Korea border. According to a source in North Hamgyong Province, surveillance cameras have been installed along the 17km-long border area. The purpose of increasing the installation of these surveillance posts is to deter people from defecting and other forms of illegal border-crossing, such as smuggling, through instilling fear among the residents near the region. The Daily NK reports that the Kim Jong Un era has seen an increase in surveillance and control around the country’s border with China, including wiretapping to identify users of smuggled Chinese mobile phones placing international calls. There have also been significant deployments of joint inspection teams to investigate and implement measures to prevent border-crossings and defections.